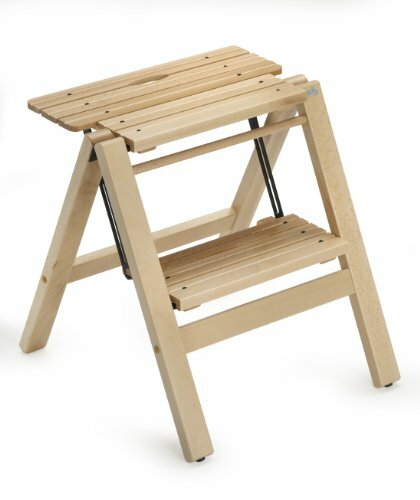 Folding stool/ladder in solid beech wood. 2 steps with enlarged top, steel rods for enhanced sturdiness. The benchmark for step ladders in the consumer market since the 90s. Natural finish. Handcrafted in Italy by Aris. The benchmark for step ladders in the consumer market since the 90s. Height at the upper step 18.50"
If you have any questions about this product by ARIS - TRULY MADE IN ITALY, contact us by completing and submitting the form below. If you are looking for a specif part number, please include it with your message.